What's not to love about coilguns? 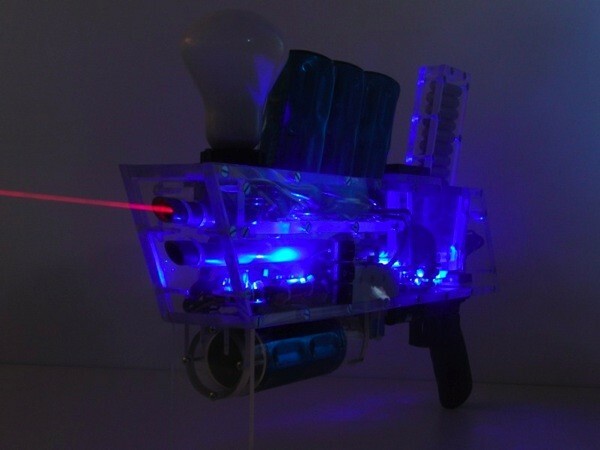 They bring together electromagnetics and DIY-ing for what may be our favorite juvenile pastime: shooting things. The bad boy pictured above was put together by a Mr. Daniel Eindhoven for €100 (that's about $133). 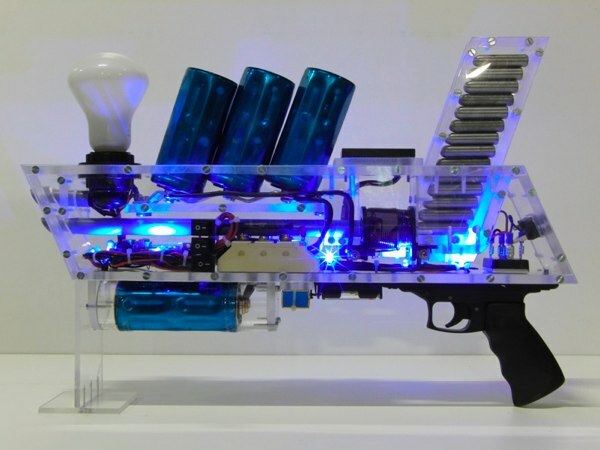 A semiautomatic single stage gun that boasts a 14 shot capacity, the weapon's capable of firing a 42 gram projectile at speeds up to 110km/h, with a charge time of 8 seconds when plugged into mains power (or if you're on the go, the internal batteries will light up in about 90 seconds). It also sports a digital voltage display and a laser pointer. Just as we predicted when we saw the Nerf chain gun, the inter-office arms race is definitely on. Be careful! One more pic after the break. Badass! I want one for myself. Posted 2009-05-07, 07:02 PM in reply to Sum Yung Guy's post "Coil Gun!" Lenny, get on it making this video!